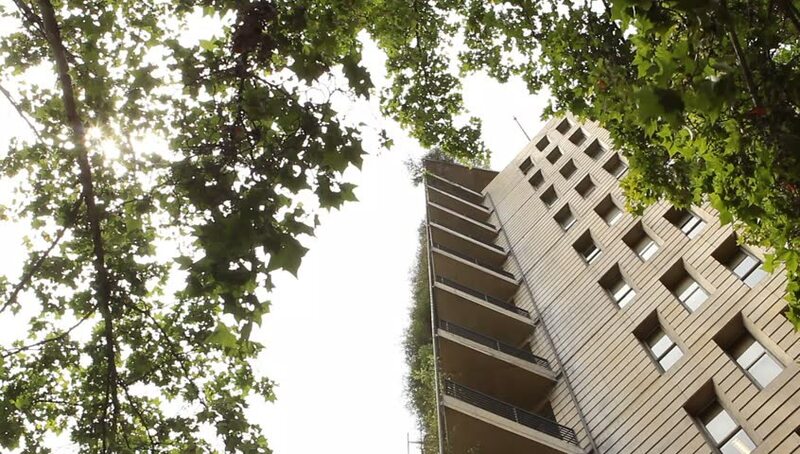 A low-angle shot of a high-rise apartment building between the foliage of trees in an accommodated residential sector in Santiago, Chile. hd00:09KUALA LUMPUR, MALAYSIA - July 30, 2015: View of modern LRT train from platform. Kuala Lumpur light rail transit LRT system connects key districts with banks, offices, hotels and shopping malls.